In two days, I’ll be celebrating my fourth wedding anniversary. Yes, I already know what you’re thinking. You think I’m going to spend the next few paragraphs spouting about marriage, right? About love. About how my husband is the best, or how married life is hard, or about any number of silly things that I may have learned over the course of the past four years. Well, joke’s on you! Today we’re talking all about these derby pie bars. Brett and I got married on my grandparent’s farm in Kentucky the week before The Derby. 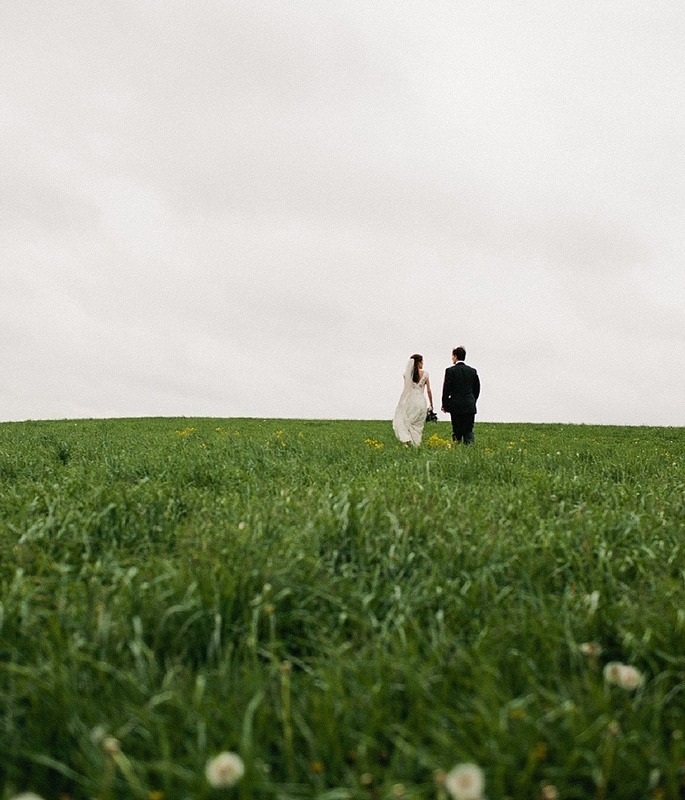 It was a small, outdoor ceremony on a private corner of the farm’s rolling green hills. I shivered through the ceremony, half nervous, half chilled from the wet air that blew on that gray day. 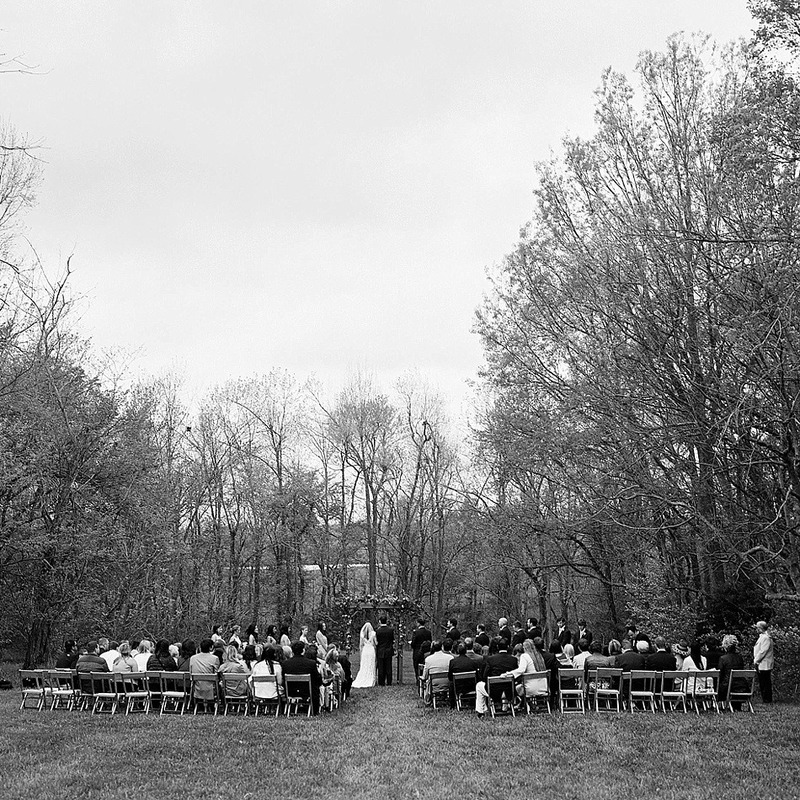 We said “I Do,” tried not to make out in front of all of our friends and family, and headed to the reception which took place in a tobacco barn a short walk away. Like any good Kentucky party, we served stout bourbon cocktails and danced to the music of a five piece bluegrass band. 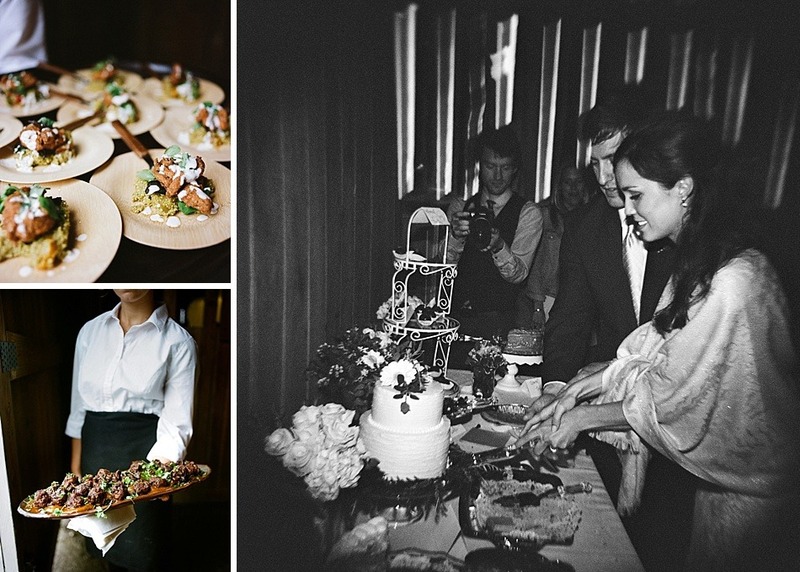 Our caterer passed small plates of Southern-inspired dishes to our guests, while others picked at the dessert table filled with bourbon balls, lemon squares, and even a humble little wedding cake that was made by yours truly. The day contained more than a few nods to our families, heritage, and even the Bluegrass state itself, but on the week before the Kentucky Derby, one dish that we really should have served is derby pie. If you’re not familiar, derby pie is fudgy, chocolate and nut-filled pie that is traditionally served that first Saturday in May at Kentucky Derby. Rich and chocolaty with a subtle crunch from walnuts, the original pie is decadent and one of the few desserts that just screams “KENTUCKY” to me. These derby pie bars are adapted from the original pie but have a few twists of their own that make them a delicious Southern treat you can enjoy all year round. To prepare these derby pie bars, we start with a shortbread crust. Sugar, flour, and the rest of the dry ingredients work in with a few tablespoons of butter to create a flaky bottom layer for our bars. Once baked, the crust is topped with a sprinkling of mini chocolate chips before being slathered in gooey, brown sugar pecan pie filling. 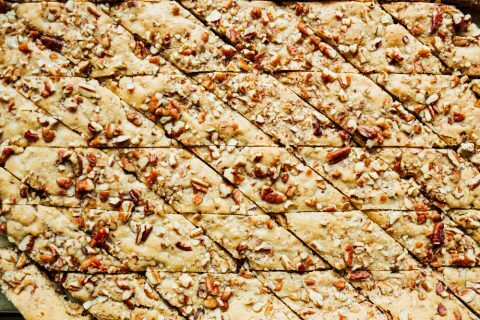 Made with butter, brown sugar, a swig of bourbon, and more than a handful of pecans, the pie filling layer of these bars is sweet and not for the faint of heart. 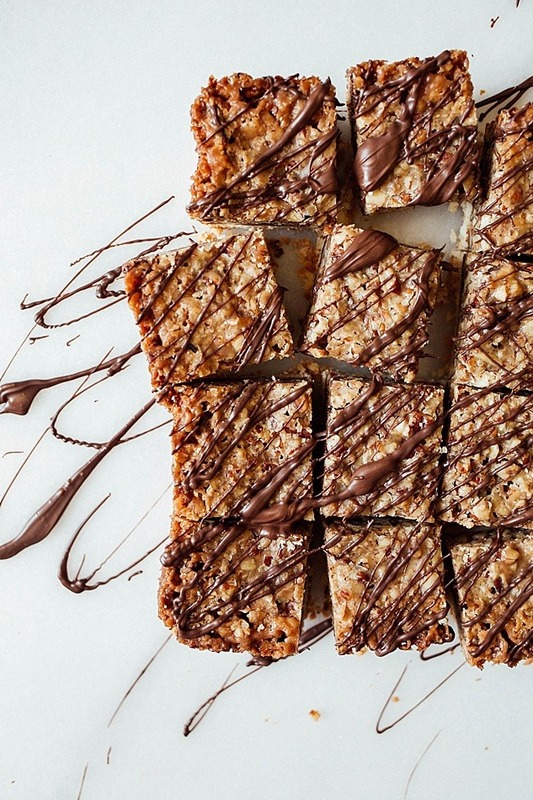 The whole thing gets baked in the oven, drizzled in chocolate, and cut into bite-sized bars. 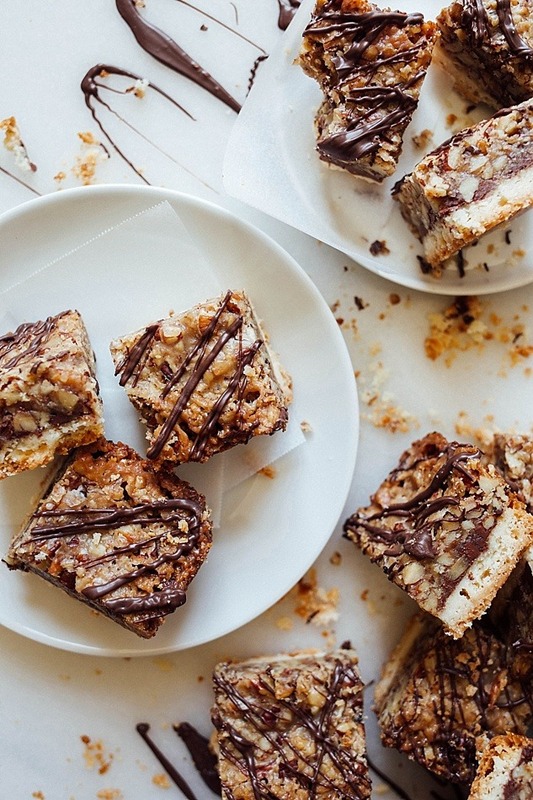 If you love pecan pie and chocolate, these bars are for you. 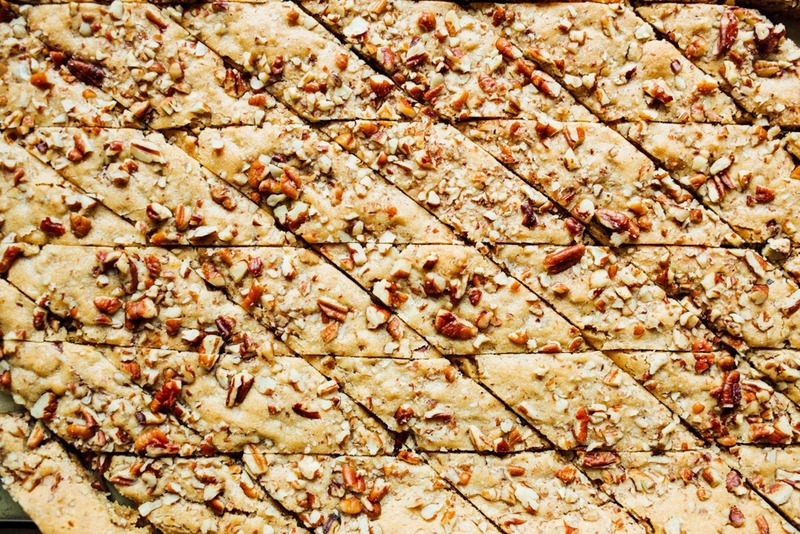 If you love boozy desserts, crumbly crusts, and serving decadent treats at your Kentucky Derby party, these bars are practically begging to be made. Brett and I have no plans to attend the Derby this year, but I absolutely adore any treat that reminds me of our wedding day. While we may not actually share these bars on our anniversary this year, I am delighted to pass the recipe along to you. I hope that you’ll give them next week on Derby day and think of me! Stay tuned for next week, when I’ve got not one but TWO recipes to share with you guys! It will be a mouth-watering few days in these parts. And on the off-chance that he’s reading- Brett, I love you. You make my life better and I’m grateful to be yours. Happy Anniversary. These derby pie bars are based on the favorite Kentucky pie. 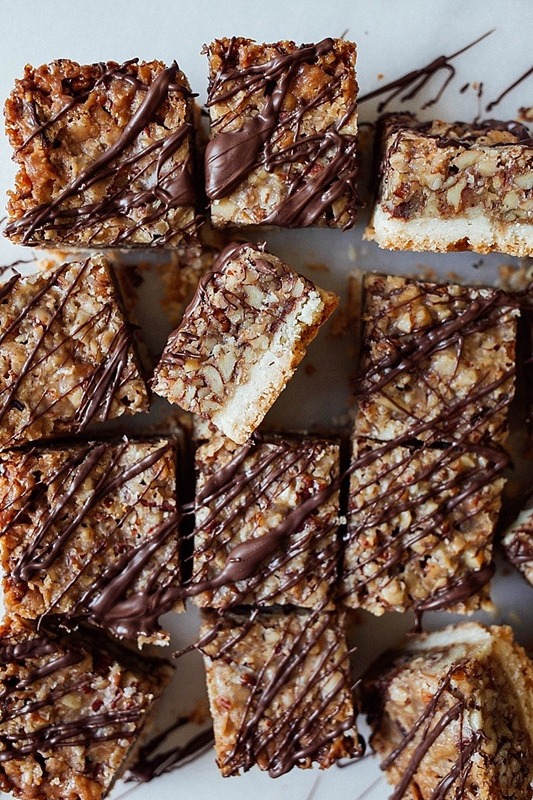 A shortbread crust, bourbon pecan pie filling, and a drizzle of semisweet chocolate make these bars rich, decadent, and delicious to serve a crowd. Preheat the oven to 350 degrees. Line a 9” square baking pan with aluminum foil with enough overhang on each side to easily remove the bars from the pan once baked. Spray with cooking spray and set aside. In a medium sized bowl, stir together the flour, corn starch, sugar, and salt. 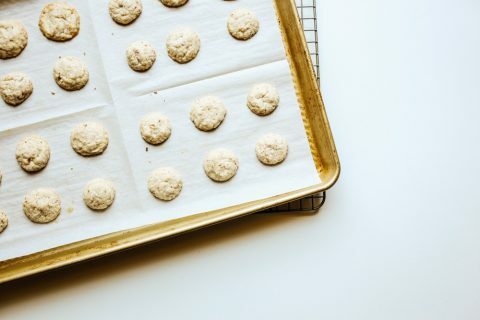 Using a pastry cutter or the backs of two forks, cut the diced butter into the dry ingredients until it becomes a coarse meal consistency with pea-sized clumps. Press the mixture evenly into the square pan and then chill for 5-10 minutes in the fridge. Then, bake in the preheat oven for about 15 minutes, or until the crust is set and then edges have just started to turn golden. Do not overbake. Set aside the cooked crust while you prepare the filling. Combine the butter, brown sugar, vanilla, salt, and optional bourbon in a small saucepan. Cook over medium-low heat, stirring until the butter and sugar have dissolved. Once melted and no graininess from the sugar exists any longer, increase the heat to medium and bring to a boil, boiling for 3 minutes. After three minutes have passed, remove the pan from the heat. Add the chopped pecans and heavy cream to a medium sized bowl and stir in the butter/brown sugar mixture until evenly combined. Sprinkle ½ cup of the mini chocolate chips over the cooked crust. Spread the warm filling over top of the chocolate chips and smooth out. Bake in the preheated oven for about 20 minutes, or until the edges and parts of the center are bubbling and the bars have turned caramel in color. Allow the bars to cool completely prior to removing from the pan (you can speed this process up in the fridge). Remove from pan by pulling out the foil liner. 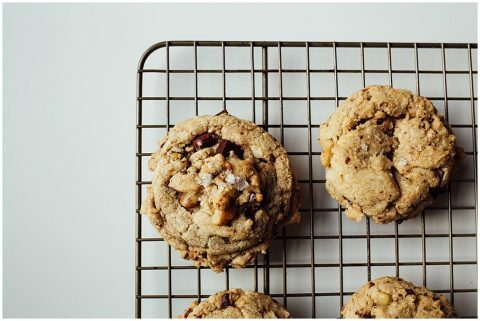 Melt the remaining chocolate chips in a microwave on low heat in 15 second increments or over a double boiler. 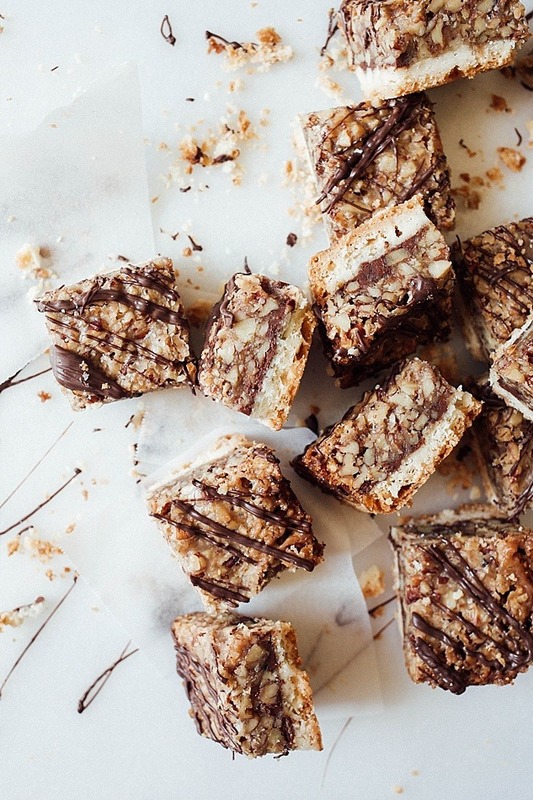 Drizzle bars with chocolate and allow to set. Cut into 16 bars and serve at room temp. Be sure to allow bars to cool completely prior to cutting. You can place them in the fridge or freezer briefly to expedite this process. The drizzling chocolate can seize up if it gets too hot while melting. Be sure to melt on low heat and (if microwaving) in short increments so that you get smooth chocolate. I made the recipe as is but my bars came out thinner than your photos? The nut layer appears half the size as your? I did use a 8×8 square pan but you would think this would have made them bigger? hmmm, I’m unsure why that could be! I use an 8×8″ pan as well. perhaps the photos are a bit of an optical illusion? if you have a photo please send my way! Kate…making these now…hope you see this. Are there really no eggs in the filling? Or was that an oversight? I am trying to make them, but a little surprised that there are no eggs needed in the filling. nope! it’s almost like making a caramel with all that sugar. it will thicken up to a gooey consistency when cooled! My bars were falling apart when I tried to cut them. What did I do wrong? Going to attempt a 2nd time. Oh no! I’m sorry to hear that. Did you allow them to cool all the way prior to cutting? The filling needs time to set up. Also be sure to cook thoroughly. The edges and parts towards the center should be bubbling when they’re ready to come out of the oven. If you don’t let them cook all the way they likely won’t set. If you tried cutting while still hot, put your warm pan in the fridge or freezer to set up. That should allow them to cool faster. Best of luck! Let me know how they turn out! Love your works ! All the best ! HAPPY ANNIVERSARY to you and Brett!! 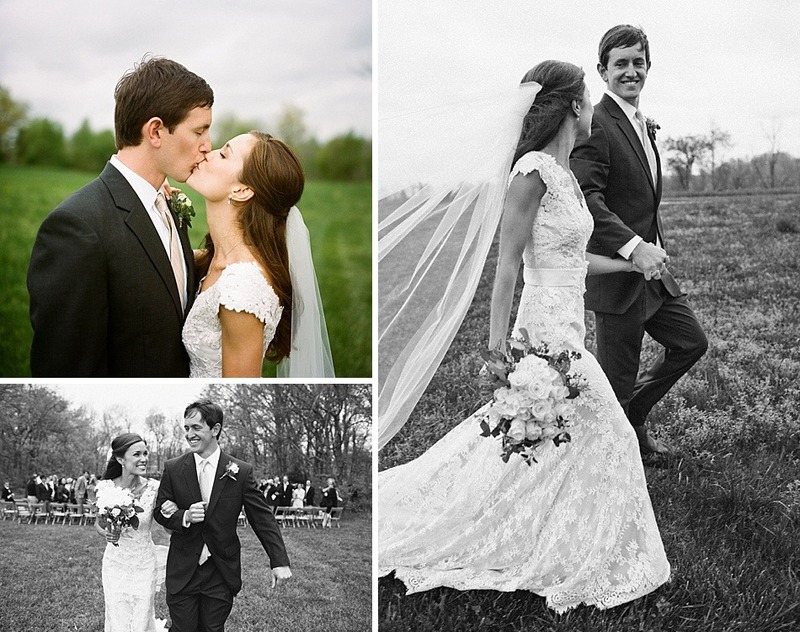 Thank you for sharing your wedding pictures, you two look so sweet! I have never heard of Derby Pie, where have I been….LOL! These Derby Pie Bars look scrumptious, I can taste them already. Have a nice day Kate! Thank you for the compliment! Derby pie is definitely a thing of the South, but I can promise you that they’re tasty. These are wonderful! Can’t wait to try them with the bourbon! Thank you for being an excellent guinea pig!!! I love Derby Pie, I was just thinking this morning I need to pull out my Derby stuff to decorate and i will be making these soon! yes! host a party! 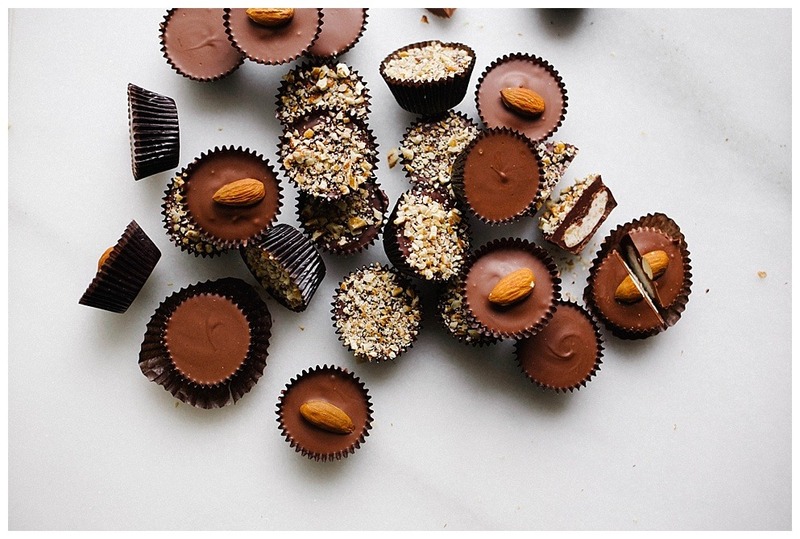 make these! and if you don’t invite me, I’ll be totally ticked. (kidding). (not really). I’ve never made (or eaten) derby pie and right now I’m wondering how it’s possible I’ve missed out on something sooo delicious! These bars look wonderful. And I loved the pics from your wedding–what a beautiful day! I love creative recipes suitable for life's moments. Let's bake something memorable together. 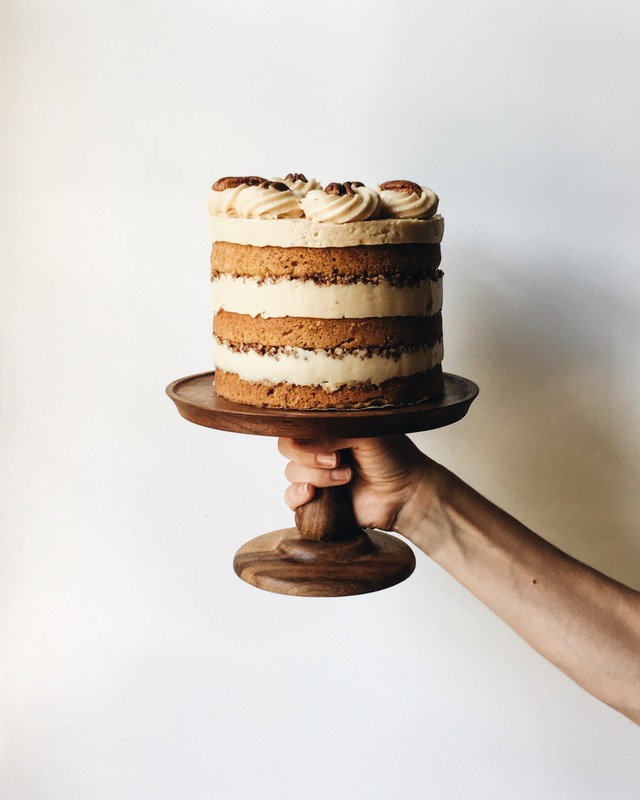 Sign up to get new Wood & Spoon blog posts delivered straight to your inbox!